This past weekend it was finally time to see The Adventures of Tintin. Wow! You could tell in every frame of the movie that the creators really love the characters! Tintin is dragged into a wild treasure hunt when he buys a model ship at a flea market. The ship turns out to contain one of the three clues that lead to a sunken treasure. But there are others also looking for the treasure and they will do anything to find it first. 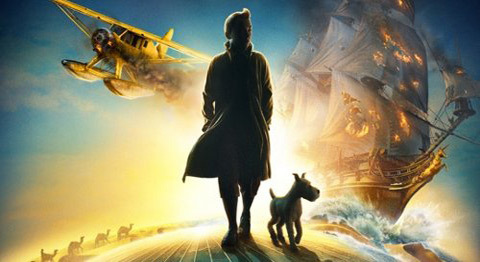 It is almost impossible to make a better Tintin movie than this! I really hope that more will follow. Translator’s note: The movie has been released in Europe, and will continue to be released in additional countries Nov 2011 – Jan 2012. Comments Off on Tintin – Magnificent!